 Log In needed $7,600 · 2003 YUKON LOW MILEAGE!! EXCELLENT CONDITION!!! GREAT VALUE!! 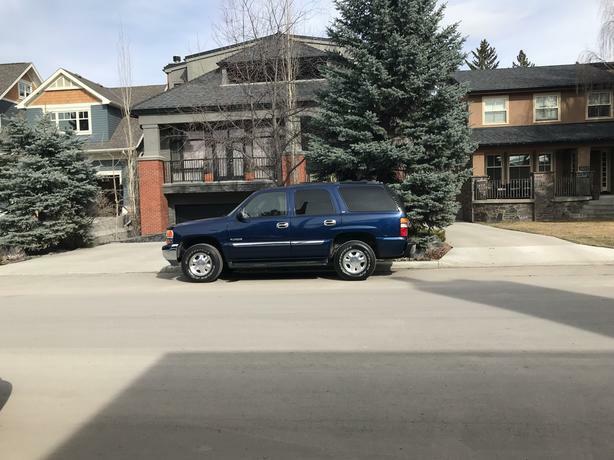 2003 YUKON LOW MILEAGE! EXCELLENT CONDITION! GREAT VALUE! v8 engine 4WD/ 4x4 one owner. No accidents. Dark blue with grey leather trim. Bucket seats in front and back. Running boards. All terrain tires. Air Conditioning. Trailer hitch. roof rack. Bose speakers. Power windows and locks. Fog lights. Sunroof. Stability control.